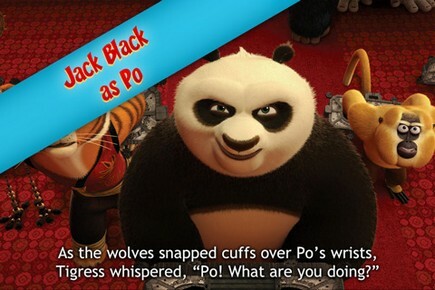 Kung Fu Panda 2 Storybook is an app launched by zukka that will display Images and Audio from the Film Kung Fu Panda 2. The app costs $2.99 and has special feature like Create-A-Scene, which is a digital sticker book with favorite characters from the movie. The app will display images along with audio making it easier for children to understand the entire story. Its also easy to use the app with auto ‘Page Turn’ option and style of narration varying from Adult voice to Child voice. Kung Fu Panda 2 Storybook is available in App Store for Apple iPhone, iPad and iPod Touch.